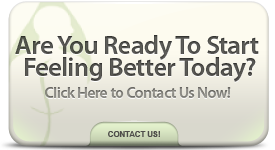 Firstly, many thanks for visiting Fulmore Chiropractic Care’s Website. Living in a world where people take and get addicted to drugs, our Orlando chiropractors mission at Fulmore Chiropractic is to provide the community with natural, effective and affordable healthcare that meets or exceeds the expectations of those we serve and educate. With specific chiropractic care, we restore health by improving function, flexibility and energy flow, thus releasing the healing powers that are locked inside the body. Honored to serve the Central Florida area for over 30 years, Dr. Ronald Fulmore, Sr. has witnessed things in his office that others would consider miracles. Involved in an automobile accident over 30 years ago, Dr. Fulmore was left paralyzed in the right side of his body for 1 1/2 years. Having been told about chiropractic, he gave it a try and began to get well. After a period of time Dr. Fulmore recovered 100 percent and dedicated his life to healing the body naturally without drugs or surgery. 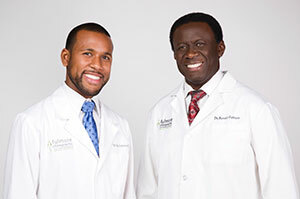 Working in the family business since the age of 14, Dr. Ronald Fulmore, II joined forces with his father to help heal Central Florida. “My dad is my hero,” he says, “I want to be as good as him if not better.” Passionate about chiropractic and the patients he serves, Dr. Ron makes his best effort to ensure his patients feel comfortable and help them feel better as soon as possible. Any injury, any concern, all you need is Fulmore Chiropractic. The community we serve needs to get reeducated and truly understand that they don’t have to suffer needlessly and they don’t have to take medications. We try to combine the best of both worlds, the highest standards of chiropractic care, along with compassion and understanding. Dr. Ronald Fulmore, Sr. has practiced in the health care profession for over 30 years. With over two decades of outstanding service to the central Florida area, he is aided by a loyal staff with over 25 years of experience and was recently joined by his son, Ronald Fulmore, II in August of 2010 to continue in a tradition of providing excellent health care. After being restored to 100% health by chiropractic, Dr. Fulmore decided to dedicate his life to helping others in the same way that he was once helped. Mrs. Fulmore is a graduate of the University of Florida. She holds dual degrees in exercise science and occupational therapy. She is also an experienced dietitian and nutritionist. Dr. Ronald Fulmore, II is a Lynn Business School graduate from Stetson University in Deland, Florida. In 2005, Dr. Ron lead the Stetson Hatters’ Soccer Team to an SEC Division I Championship where he was crowned MVP. In lieu of pursuing a professional soccer career Dr. Ron matriculated into Palmer Chiropractic College in Port Orange, Florida completing the required eight years to receive the Doctor of Chiropractic degree.